Delivering strong performances at the fast and slippery Orlyonok track, Rockstar Energy Husqvarna Factory Racing’s Thomas Kjer-Olsen has claimed two top five MX2 class results at the GP of Russia. Earning fifth in the class’ overall standings, the young Dane remains third in the 2018 MX2 World Championship’s provisional standings. Battling through a crash in his qualifying race, Kjer-Olsen put his head down and pushed hard for good results during the final motos. Fourth in the opening MX2 race, the FC 250 powered rider collected a fifth-place result in the second and final moto. Back to racing action following his knee injury two weeks ago at the Portuguese GP, American Thomas Covington was unable to show his true potential at the Russian track. Securing 17/14 results, the Rockstar Energy Husqvarna Factory Racing rider wrapped up the sixth round of the series in 16th position in the MX2 class. 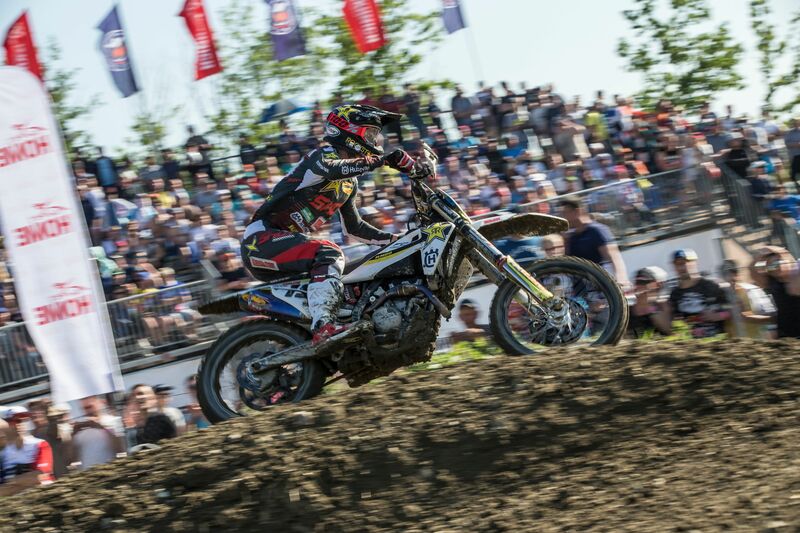 In the MXGP category, Rockstar Energy Husqvarna Factory Racing’s Gautier Paulin once again found himself battling for a provisional top three in the overall classifications. Fourth in the opening race, the Frenchman didn’t get the best of starts in moto two and had to settle for sixth. Earning sixth overall at the Russian GP, Gautier remains fifth in the 2018 MXGP World Championship standings. Missing the last three GPs as he recovers from a concussion, Rockstar Energy Husqvarna Factory Racing’s Max Anstie struggled with the slippery and fast track in Orlyonok. Earning 15/17 results, Max was 16th overall at the GP of Russia. The Rockstar Energy Husqvarna Factory Racing team will return to action at the seventh round of the 2018 FIM Motocross World Championship in Latvia on May 12/13.